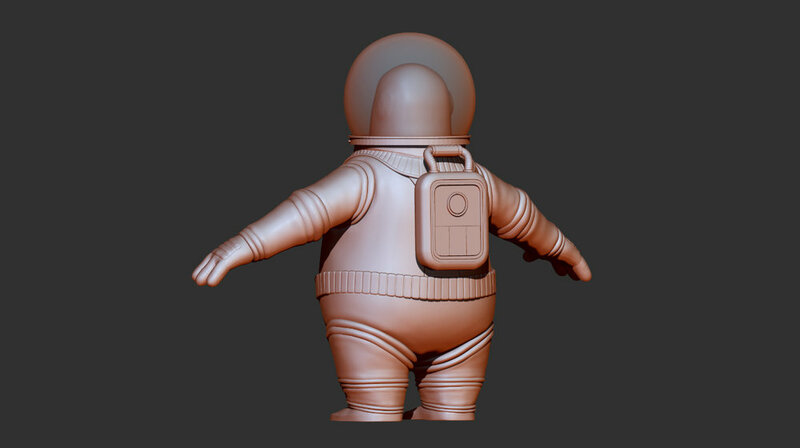 Retopology is one of those things that outside of rigging and modeling nobody wants to hear about. It is however essential to good puppet deformation. It is one of those things that I constantly try to evolve from character to character. I do not know whether this is from the ever evolving technology or simply because I like to constantly try new things. For Ben I decided to go with the simple idea of “better safe than sorry” and added extra edges wherever I had problems in the past. This also means that I’ll have to deal with those edges even if they are unnecessary. In the past I would create only as much spans as I thought I would need. The reasons being simple. Capturing (or “binding”, depending on the software you use) is much easier with less topological data and animation playback is faster which is essential when the puppet is animated. This is great if you nail just the right amount of edge spans you need, but if you don’t and you need extra edges you are in trouble. Adding those extra details later is time consuming to say the least. The face is the most important because it carries so much deformation. I spend most of the time for retopology on the face. The areas I spend most time on are always those which deform most. In this case the eyes and the mouth. I start by dividing the character into specific zones and layout each one separately. The zones being: eyes, lips, nose, cheeks, brows. I make sure each zone works well before merging and overlapping with the neighbouring zones. For the eyes I divided it into 9 spans and for the mouth 13 spans. This should be enough to carry all the deformation I have in mind for this character. In the past I tried with less and blend shapes are faster to create but for some specific expressions I found it tricky to support extreme shapes with less spans. As I wrote “better safe than sorry”. Also if this character would perform a lot of close up acting shots I would probably add a few extra spans. The body can be tricky, especially in the shoulder and hip area. I don’t mind adding a few extra spans here. The shoulder always needs a lot of corrective deformations and it is just better to have some extra spans “just in case” to hold the shape. The same is with fingers. Especially the thumb area. Added extra spans this time. Helmet, jetpack and front button panel are mostly rigid objects which will not deform as much as the rest of the body. For this reason I kept the number of edges on the lower side. This model is now going back to Zbrush to create displacement maps and final details. Finally started working on our hero character sculpt. I decided to do it a bit differently than the way I worked on “A is for Al….”. On later I did the final sculpt in Zbrush, retopology in Houdini and then reprojected the details back on the retopologized model. The problem with that is that some details don’t necessarily stay the same when reprojected. This is the reason I decided to do a base mesh without high detail first and do retopology on this mesh. Once that is done I will work on the details on this model. This will help me speed up the work on the details of the model by working on them only once. Apart from that, my workflow for creating the character is pretty straightforward. I start with base shapes like spheres and boxes and shape them to best represent the character. These are merged together into shape via Zbrush Dynamesh. Then I simply work on the details. Notice that I leave certain things unsculpted, like the mouth and inner parts of eyelids. 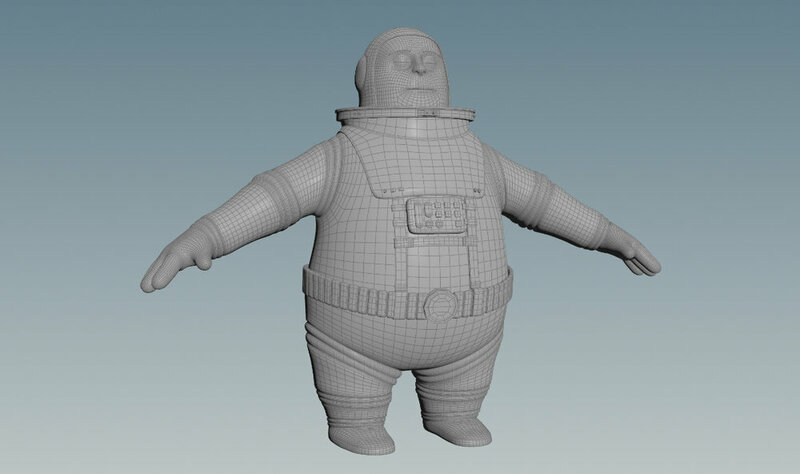 I will do this in Houdini when I will be making the retopology of the model. I simply find it faster this way to work on interior shapes there, also it is easier to work on the base sculpt for me if there is no interior shapes to worry about. Next stage - retopology in Houdini. Time to share a few concepts I created for “B is for Ben”. At this time I am still playing with color palette but for now I think I will go with the colors you see on the concept images below. Our hero has landed on a desolated far away planet. That is why I went with the rocky, dry environment where there’s nothing but rocks. The planet is very analogous in colors as well, making it not so interesting and a bit dull environment to spend time in. Basically the idea is that our hero doesn’t have much to do in this environment. He is there but would rather just pack his bags and go someplace where the party is. Our hero on a desolated planet. Design wise I wish this film to be more graphic rather than photorealistic. That means I am going to experiment more with texture and shapes. The rocks and clouds would get more graphic quality and everything would be a bit simplified. I am still experimenting with this so if it works or not I will see once I make the first 3d models and renders of the environment. Below are two images to show what I am considering in terms of color for this film. I am shifting colors here and there to see what works and what not. The orange/green is what I’ll most likely go with for the environment though I have been playing with the more purple/pink version as well. As I will make 3d rendered images I will play with colors again until I get the final look I am looking for. 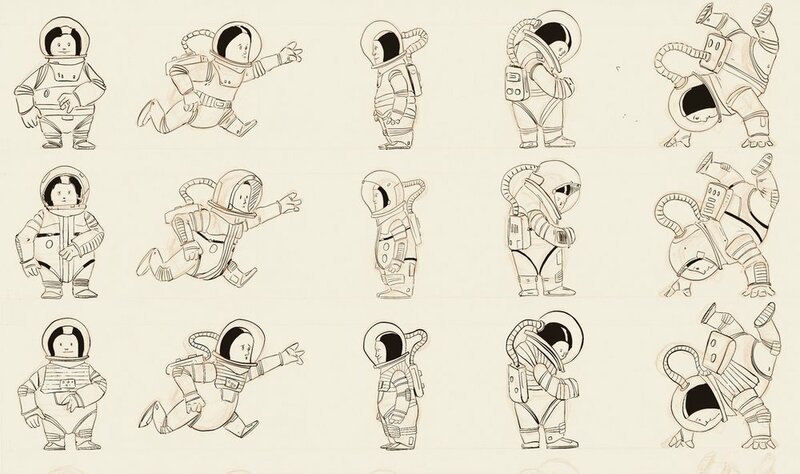 The storyboarding for Ben is finished and I am sharing a bit of the process how I approached it this time.